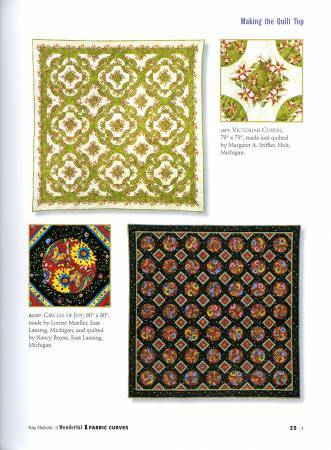 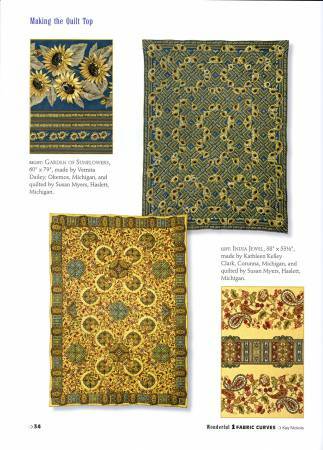 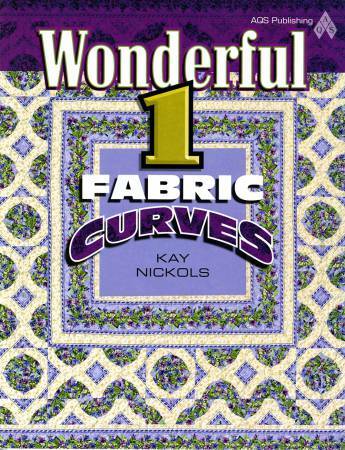 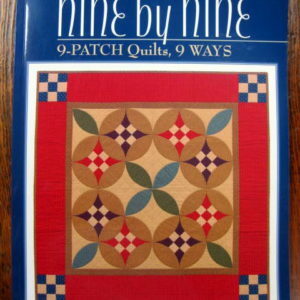 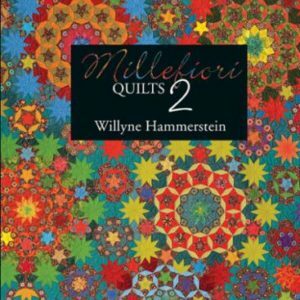 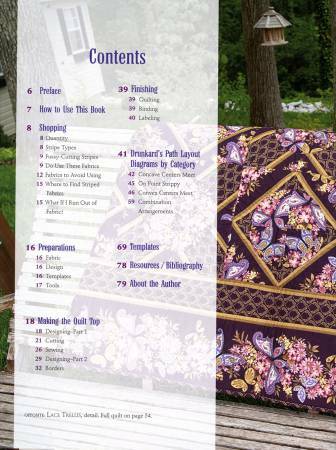 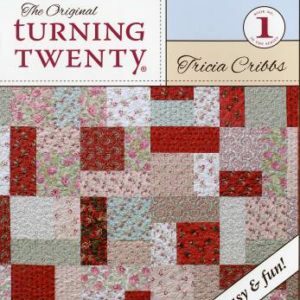 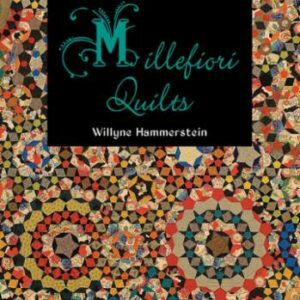 From the author of the popular Wonderful 1 Fabric Quilts book comes this great twist – or curve – on the same idea: use one beautiful border fabric with one classic pattern for limitless, spectacular results. 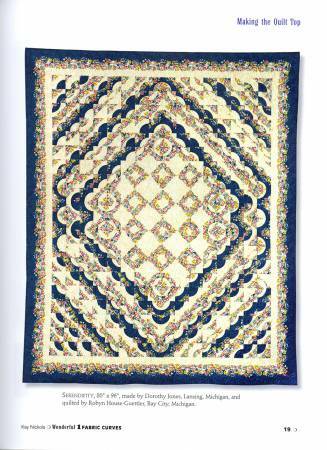 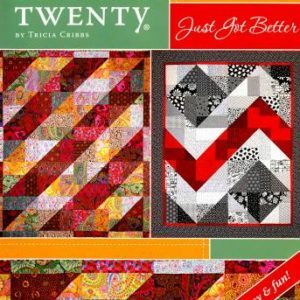 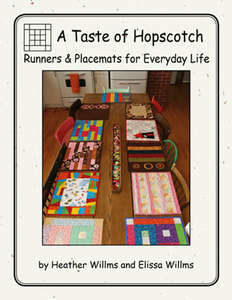 Make 27 quilts from the same two templates and the placement diagrams Templates are provide in 10 sizes for maximum design. 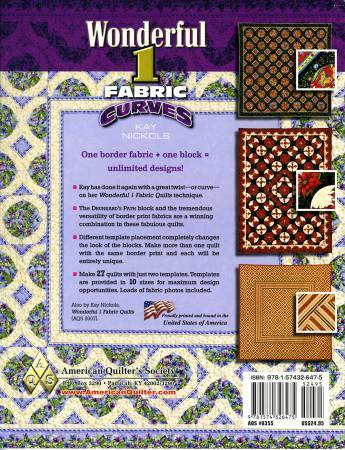 Kay shows once again the tremendous versatility of border prints using the Drunkard’s Path block on a number of fabrics, many of them multiple times, How you cut the fabric determines the look you get. 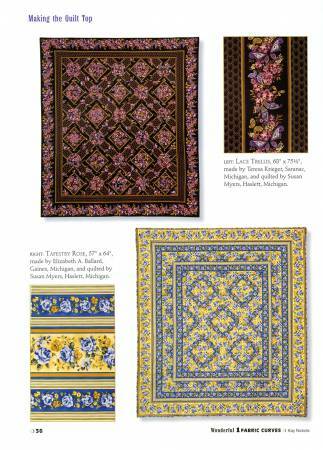 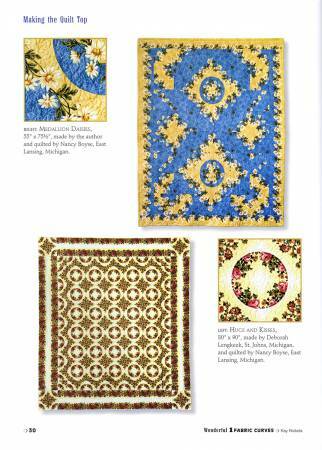 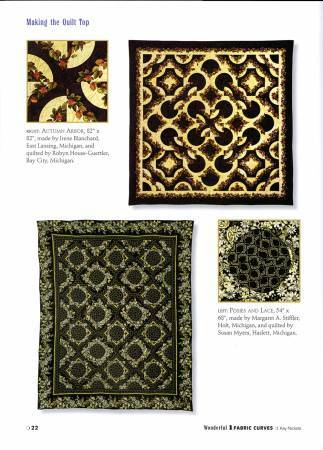 Kay provides photos of fabrics to use and those to avoid so your quilts will look their best.